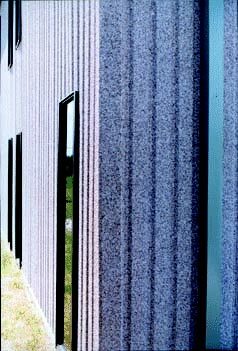 All of IPS’s wall panels are available with the Rockwall Finish system. IPS Rockwall gives you the advantage of steel wall panel construction with the durable beauty of stone aggregate. The Rockwall process bonds real stone aggregate to steel panels with a super adhesive system. A clear sealer gives the finished panel a crisp glazed appearance. Limitations For wall applications only.